Staff photo by C.B. Schmelter / Tennessee Department of Transportation Deputy Commissioner and Chief Engineer Paul Degges speaks during a press conference, addressing the failure of a bridge beam from the I-75 South ramp over I-24 West, at the TDOT Bob Brown Region 2 Administration Building on Tuesday, April 2, 2019 in Chattanooga, Tenn. This story was updated Wednesday, April 3, 2019, at 9:45 a.m. with more information. 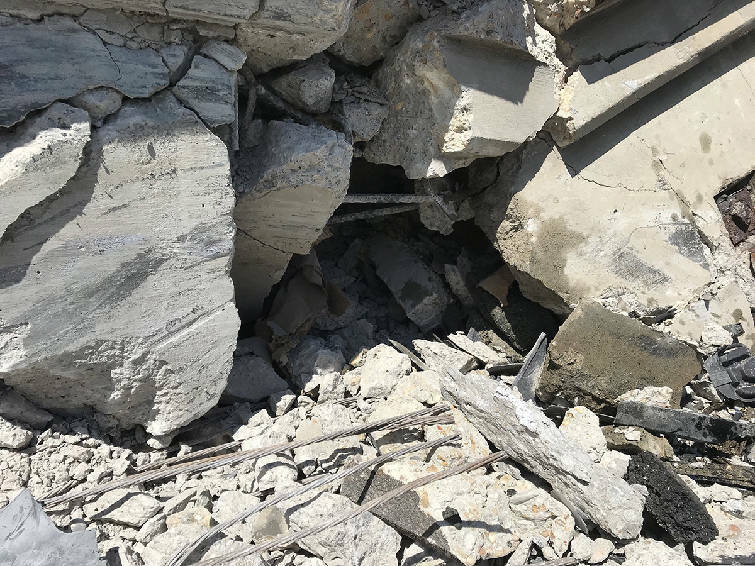 A partial collapse of an Interstate 75 bridge Monday morning in Chattanooga was likely caused by an illegally oversized load that hit the bridge, cutting through steel cables that supported the concrete railing, according to the Tennessee Department of Transportation. The five steel reinforcing strands were cut through in a manner that was consistent with being hit by a load, according to TDOT engineers. The strands weren't rusted and nuts on the bridge were in good shape, also leading officials to believe the strands were hit by an oversized vehicle. Officials are not legally allowed to use the traffic cameras aimed at the roadway for investigative purposes and the video is not recorded. So there is no video evidence, or eyewitness account, to confirm the theory. "I'm not sure we'll ever be 100 percent sure, but that's our thought process now," TDOT deputy commissioner and chief engineer Paul Degges said. 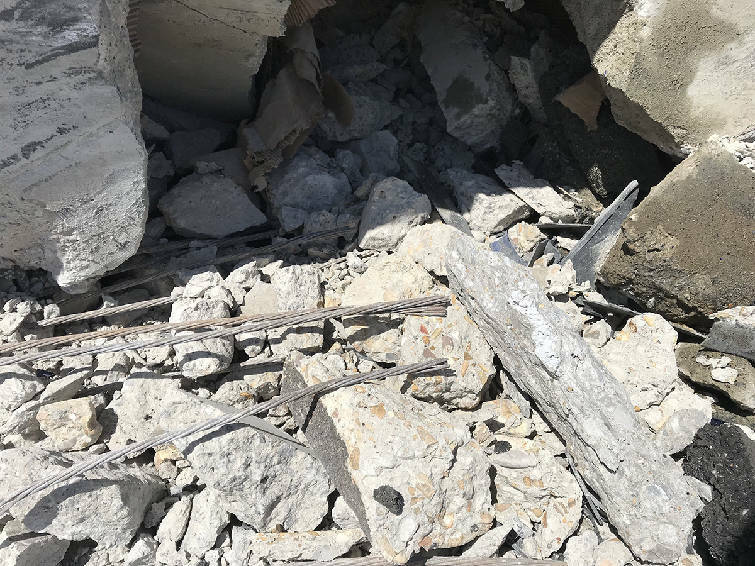 Investigators believe a truck driver hit the overpass in the hours or days leading up to the collapse, cutting through five of the 23 strands made of 3/8-inch diameter steel. The five cables were all broken in the same location on the lowest side of the bridge, making it improbable that the collapse was caused by anything other than a collision, according to TDOT officials. "It looks like someone took scissors through it," Degges said. 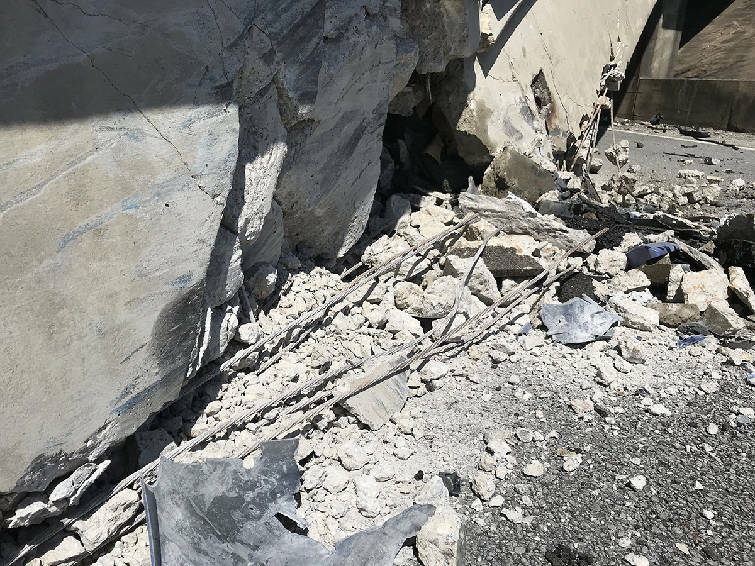 The side of the bridge collapsed late Monday morning, tumbling onto the I-75/I-24 ramp headed to Chattanooga, stopping traffic at one of the region's busiest intersections and injuring a driver who plowed into the fallen debris. The driver is at Erlanger Medical Center in critical condition. There is not a traffic counter on the bridge itself, so officials are unsure exactly how many vehicles pass over it per day. However, about 109,000 vehicles travel daily on I-75 South through the I-75/I-24 juncture. Engineers calculated Monday the bridge could still safely handle traffic and reopened both one lane of the bridge and the roadway below later that evening. The repair to open the bridge's other lane was scheduled to begin Tuesday and will take about two weeks, according to TDOT regional bridge manager Steve Hutchings. About 50 bridges get hit per year in Tennessee, according to Degges, often because trucks are carrying loads that are too tall or too wide. Most of the collisions are minor. The standard minimum height for a bridge in Tennessee is 16 feet and 6 inches. The lowest point of the I-75 bridge is 16 feet, 10 inches. Trucks carrying loads at or above the minimum bridge height are required to get special permits from TDOT. The agency would not have given a permit through that area for any loads taller than 16 feet, 6 inches due to the height of the bridges, Degges said. The bridge is going to be replaced during the next 18 months as part of a I-24/I-75 merger reconstruction. Tennessee Gov. Bill Lee hasn't gotten a report yet on the bridge incident but said he will look into it as he makes infrastructure a key element of his term. "We'll be looking at that incident, but more important at how it is we maintain our infrastructure," Lee told the Times Free Press on Tuesday. 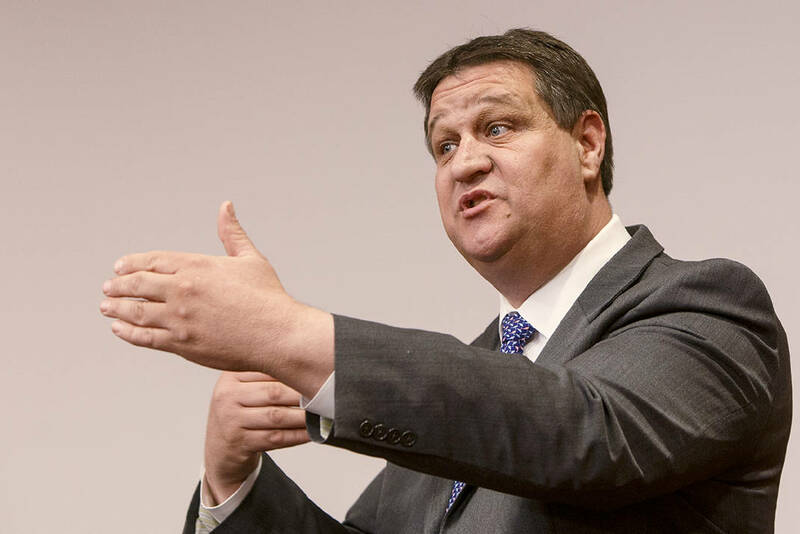 "Highways and bridges are the arteries of prosperity in our state, so we need to maintain them." CLARIFICATION: This story was updated to clarify that steel reinforcing strands inside the beam were cut.